Buying packaged firewood from your local Walmart, Meijer, Lowes or HomeDepot is now easier than ever. A quick stroll down an isle in any large department store will usually give you more than enough firewood choices. So why are all of these large department stores suddenly stocking pre-bundled or boxed firewood? The answer is easy.......but it warrants a little explanation, both through the eyes of the retailer and the consumer. There are a few important things to consider when purchasing firewood from anyone, no matter what organization or company they work for. First, if you're looking to purchase firewood to use on your upcoming camping trip or outdoor adventure, make sure the firewood is seasoned. Wet firewood simply doesn't burn. It will sizzle and smoke making your evening around a campfire unenjoyable to say the least. 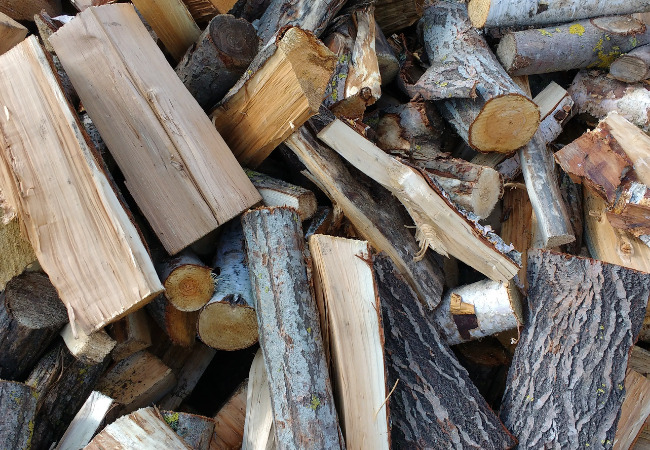 Look for firewood that's grey or dark colored and has deep checks or cracks in the end. This is a quick and easy way to tell if the firewood is dry. Plus, take a close look at the wood and touch it. Does it feel damp? If it's brightly colored and you don't see a lot of cracks chances are it's still wet and won't burn very well. Second, if you plan on traveling with your firewood buy it locally. Since traveling with firewood increases the chances of spreading invasive insects you should always buy your firewood near the location you plan on using it. The only exception to this is transporting firewood that has been kiln dried and certified for transport. Large department stores sell packaged firewood because it's profitable. Firewood that has been pre-packaged in shrink wrap or boxes can be marked up as much at 400 percent! So how can they justify the mark up and why do they sell so much? Easy......convenience. 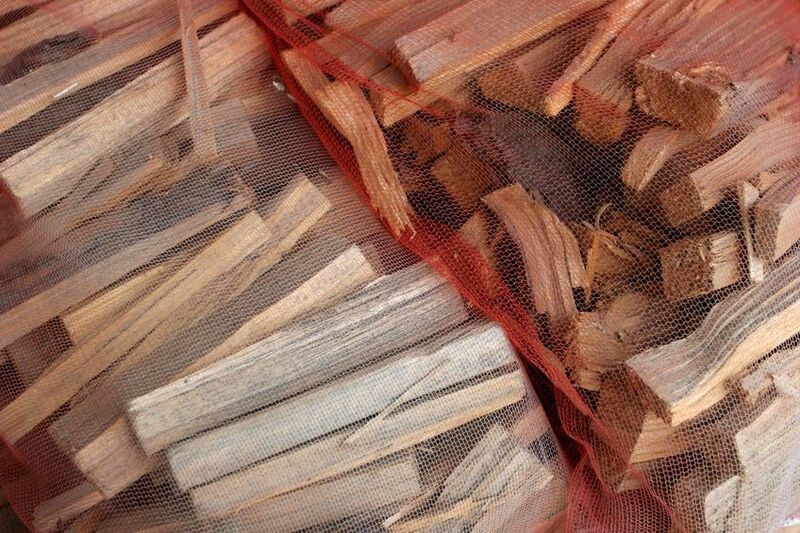 Since the packaged firewood is usually sold in .75 cubic foot bundles, for around $4 you can have enough dry, portable firewood to last about one campfire. The packaging or box keeps your car clean and you can simply pick up a package or two before your next camping trip and you're ready to go. Sure, it's a lot cheeper to buy firewood in bulk, process it yourself, allow it to season and burn it in a campfire. However, not everyone is looking to invest that much time and effort. The stores don't market to local homeowners who are using the wood for home heating. They're marketing to someone who needs to build a campfire for a special occasion and just needs a limited supply. Sometimes the wood inside the packaging can be a little big so don't forget to grab your hatchet or splitting axe to spit the logs in half if needed. It might help them burn a little better. Plus, you can also buy pre-packaged kindling to help start your fire even easier. Even though most people realize that packaged firewood is marked up in price, that doesn't stop us from buying it. To have kiln dried firewood for only $4 a package makes it hard to resist. Plus, if you don't burn a lot of firewood the convenience is hard to pass up. No mess in your car when you load it up and no mess in your house if you use the wood in your fireplace. If you're thinking about buying some packaged wood from Walmart, Meijer, Lowes, HomeDepot or any other large department store here's one recommendation.......still check the wood to make sure it's dry. Although the packaging may say it's kiln dried and "hot burning" you can still find wood from a store that doesn't burn very well. Inspect the wood to make sure it shows signs of seasoning and make sure it hasn't been left outside to soak up rainwater and humidity. Buying boxed or pre-packaged firewood offers a convenient way to buy premium firewood that's relatively affordable and easy to find. Although it's always nice to buy from a local roadside supplier and support the local economy, it's hard to compete with the convenience of a local retailer. Plus, the cost and convenience of buying kiln dried pre-packaged firewood from a big box store decreases the chances of spreading harmful insects. Overall, in the end it's just another convenient way to buy firewood.